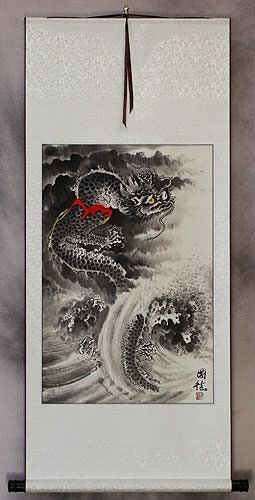 Buy a Tsunami Tidal Wave calligraphy wall scroll here! 海嘯 is a common way to write tsunami in Japanese and Chinese (there's more than one way to write the same word). Note: Can also be written as 津波, 海嘯 or 海啸. 津波 is the most common way to write tsunami in Japanese. This version should be considered "Japanese only," as it's very uncommon to see this version used in Chinese. Note: Can also be the surname Tsuwa in Japanese. 津浪 is another way to write tsunami in Japanese and Chinese (there's more than one way to write the same word). Note: Can also be the surname Tsuha in Japanese. Not the results for tsunami tidal wave that you were looking for? Some people may refer to this entry as Tsunami Tidal Wave Kanji, Tsunami Tidal Wave Characters, Tsunami Tidal Wave in Mandarin Chinese, Tsunami Tidal Wave Characters, Tsunami Tidal Wave in Chinese Writing, Tsunami Tidal Wave in Japanese Writing, Tsunami Tidal Wave in Asian Writing, Tsunami Tidal Wave Ideograms, Chinese Tsunami Tidal Wave symbols, Tsunami Tidal Wave Hieroglyphics, Tsunami Tidal Wave Glyphs, Tsunami Tidal Wave in Chinese Letters, Tsunami Tidal Wave Hanzi, Tsunami Tidal Wave in Japanese Kanji, Tsunami Tidal Wave Pictograms, Tsunami Tidal Wave in the Chinese Written-Language, or Tsunami Tidal Wave in the Japanese Written-Language. 0 people have searched for Tsunami Tidal Wave in Chinese or Japanese in the past year.